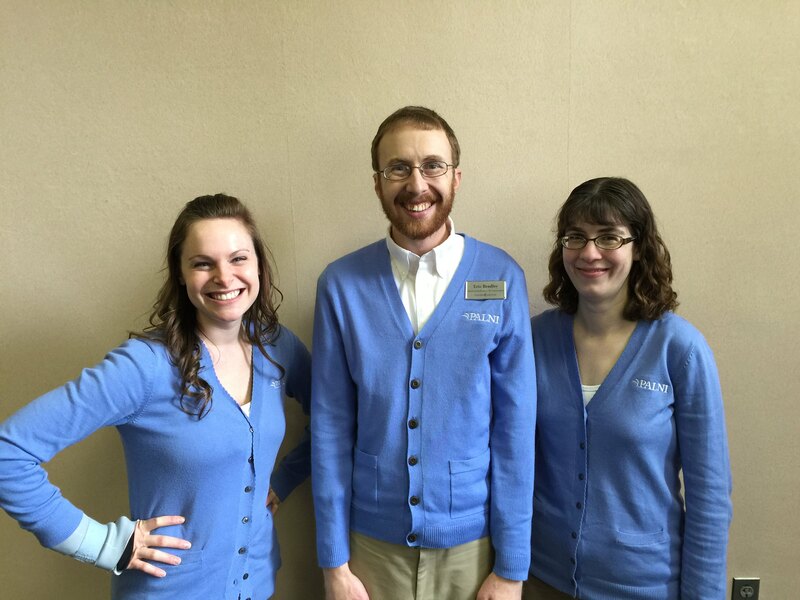 Our team, from left to right, was Megan West, PALNI; Eric Bradley, Goshen College/PALNI; and Ruth Szpunar, DePauw University/PALNI. We conducted four rounds of usability testing. View each report below for details about our methods and results. Do participants use search tabs on the library website? Can participants find items owned and not owned by their library? Can participants find a way to request a item not available at their library? Can participants find an article on a topic? Can participants figure out how to save the citation for an article? Can participants find a physical item not owned by their library? What do participants do when confronted with a physical item not owned by their library that is owned by other PALNI libraries? How often do users get error messages when they try to view the full text for an article? Can users find an item that is not the primary edition/format showed by Discovery? Do users make use of search tabs on the library website? Can users locate information about an item in the Description section of an item record? Can users find items from citations in Discovery? Can users locate the Discovery citation tool? How do users go about searching for particular works in a series?